Celebrate your Bachelorette Party in Amsterdam on the canals, during this 1,5 hour private boat cruise and treat yourself with some nice Italian Prosecco! You will be cruising in a private boat through the canals of Amsterdam and enjoy your bottles of bubbles with your friends. Next to the Prosecco there will be mineral water on board as well. The boat will be exclusively for your party, so you will not have any other guests on board! The Prosecco Cruise is one of the most popular activities for a Hen Party or Bachelorette Party in Amsterdam! The prosecco is included, so party time! Celebrate your friends Bachelorette Party with the Prosecco Cruise, because it is time to drink Prosecco and blow some Bubbles! – 1 bottle prosecco p.p. – Price | € 39,50 p.p.. 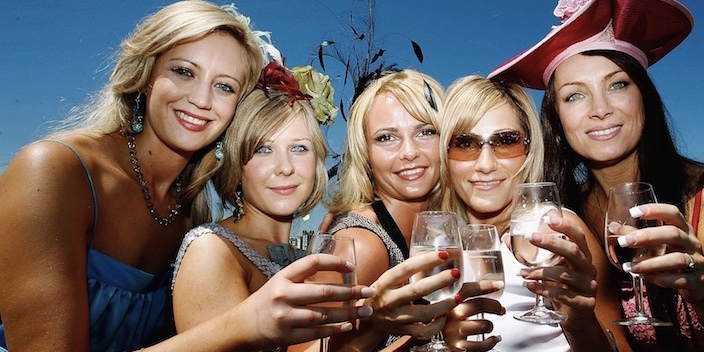 The minimum amount of people for the Prosecco Boat Cruise is 8 people. The price for the Prosecco Cruise is € 39,50 per person. All the boats are semi-covered and keep you warm and dry if necessary. When the sun is shining you can sit outside, the boats have a sun terrace or a roof that can open up! For an additional fee you can be picked up or dropped off wherever you like in Amsterdam City Center. Let us know your preferred start or finnish for the prosecco cruise and we will let you know the costs. Feel free to contact us when you have any questions or get a quote when you want to book The Prosecco Boat Cruise in Amsterdam. What a fantastic day we had yesterday! Grwat weather, nice prosecco, lovely captain Dirk and a great striptease show!!! Thank you so much for helping us to arrange this! We had the best time in Amsterdam for my friends Hen do. The team were so helpful and did everything to re-schedule our Prosecco cruise as we missed our original slot due to the big storm and being stuck out at sea! But the team managed to get this rescheduled for us for the following day. The prosecco cruise was brilliant and we were so glad we were able to go on it. Thank you all so much for your help and organising our events for us! I would definitely recommend anyone thinking of organising events to go through Amsterdam bachelorette as everything is so simple to book and the events are well organised and fun!! Natasha and the storm tropper girls!! It was a great weekend. The girls loved the Prosecco cruise and our captain was excellent entertainment! I used the transfer company again and they were brilliant! Thanks for all the help with the arrangements, was much appreciated and everything went smoothly!